SAN FRANCISCO, April 11, 2017 /PRNewswire/ -- Today, Esurance announced a partnership with television's favorite home renovation brothers, Drew and Jonathan Scott. 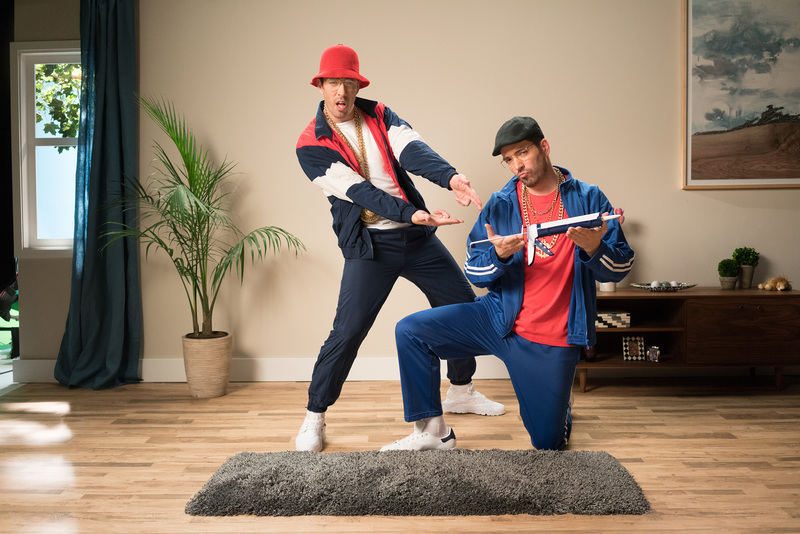 The duo rhyme, rap and dance through home and auto do-it-yourself hacks in a series of music video ditties. Watch the first video here: www.esurance.com/scottbrothers. The Scott Brothers demonstrate how to clean foggy car headlights using toothpaste in DIY hacks music video series. The Scott Brothers rhyme, rap and dance through home and auto DIY hacks in a series of music video ditties. 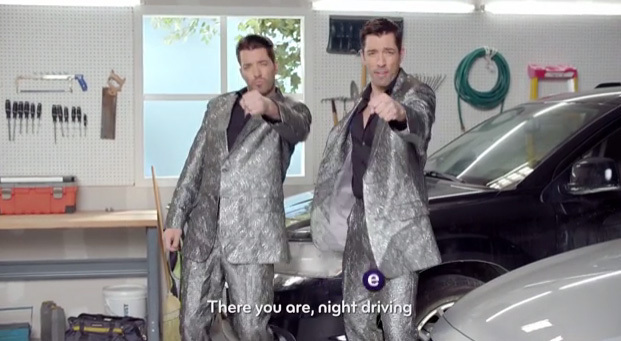 Esurance partners with HGTV’s Property Brothers to teach DIY home and auto protection hacks. 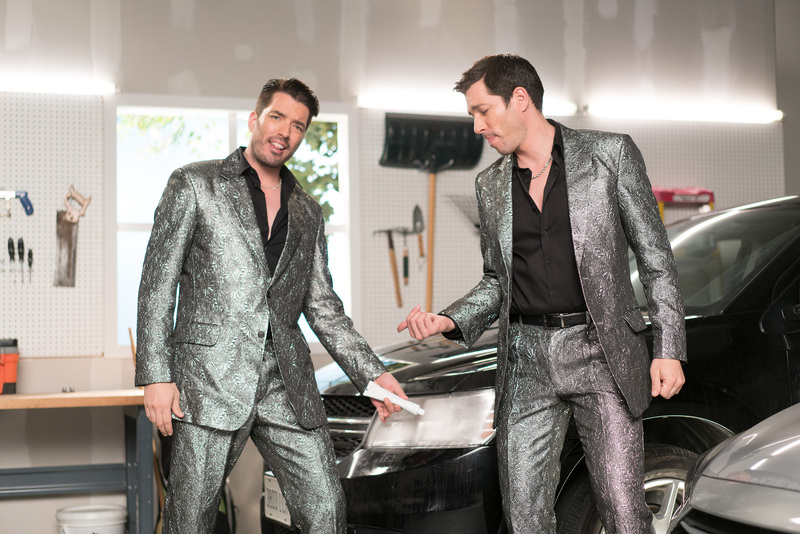 Sneak peek: The Scott Brothers rap about creating a no-slip rug in music video series. 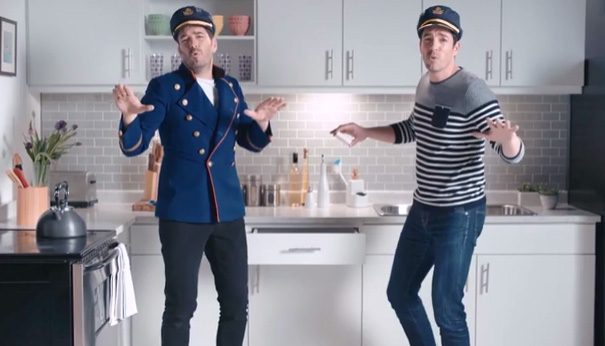 Sneak peek: The Scott Brothers unstick a drawer with soap singing yacht-rock style in music video series. "The DIY ditties were not only a lot of fun to do, they remind people to take care of their home and cars in a memorable way," said Drew. "Over the years we've learned a lot of useful tricks, but this is the first time we've put them to music," said Jonathan. "We might have to incorporate song and dance into our day-to-day work giving people home protection and renovation hacks with a little extra flair." "At Esurance, we use tools and technology to bring consumers a modern insurance experience to help make their lives easier," said Nancy Abraham, vice president, integrated marketing communications at Esurance. 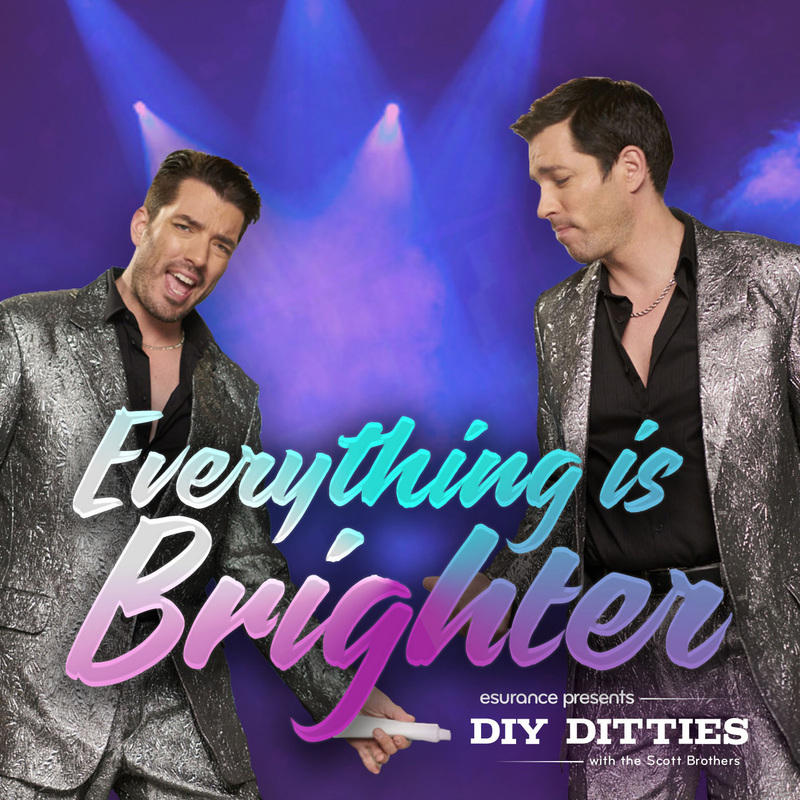 "We teamed with the Scott Brothers, who have been modernizing homes for years, and tapped into their hidden talents to deliver helpful DIY protection tips in a unique and entertaining way that will engage their passionate fans." The full series of videos, created by Leo Burnett Chicago, will appear throughout 2017 on Esurance's Facebook page at https://www.facebook.com/Esurance. Entrepreneurs, TV personalities, authors and recording artists, twin brothers Jonathan and Drew Scott are co-founders of Scott Brothers Entertainment and Scott Living. With offices in both the U.S. and Canada, Scott Brothers Entertainment produces award-winning and engaging content in all genres for TV, film and digital platforms. Scott Living, a designer collection of indoor and outdoor furniture, décor and bedding is available at a variety of North American retailers including QVC, Costco.com and Lowe's. As TV personalities, the Scott Brothers' series are enjoyed by millions of viewers in over 150 countries. Recent musical endeavors include the release of multiple singles and inclusion on the Billboard's Top Country chart. Their inaugural book, Dream Home, was a New York Times and Wall Street Journal best seller. For more information about Scott Brothers Entertainment and Scott Living, please visit thescottbrothers.com, sbentertainment.com or scottlivinghome.com. SOURCE Esurance Insurance Services, Inc.